Nancy A. Collop, MD is the director of the Emory Sleep Center and a nationally recognized expert in sleep medicine. Collop’s primary appointment is in the Emory School of Medicine as professor of medicine in the Division of Pulmonary, Allergy and Critical Care Medicine with a secondary appointment as professor of neurology. 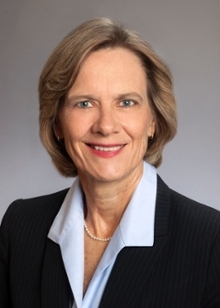 She has received many honors, including "Best Doctors in America," Baltimore's "Top Doctor" in pulmonary and critical care medicine and sleep medicine, the Distinguished Alumna for Natural Sciences (Edinboro University) and the Helmut S. Schmidt Award from the American Board of Sleep Medicine. Her research interests include diagnostic testing for sleep-disordered breathing and standards for polysomnography. Collop’s goal is to further interdisciplinary patient care by leading collaborative work and research with experts in all disciplines. TIME - "The Power of Sleep"
CNN Health - "Normal Sleep a 'Privilege' for Night Workers"
U.S. News and World Report - "As Clocks Fall Back on Sunday, Think About Better Sleep"